As part of the site redesign we want to use more images of people, places, and activities from around Aberdeenshire. We have a bank of images available to us through our photography department but we would love to use photos submitted by you too. We can give credit on the photograph submitted if required. 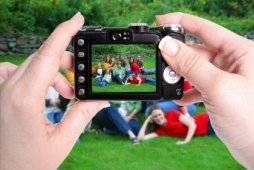 Photos submitted with identifiable people in them would need to have permission from your subjects giving us permission to use the photo on our website. If you have a photo you would like to share with us then please post your photo onto a photo sharing website such as Flickr and email the web link to shirephotos@aberdeenshire.gov.uk. Please add “shirephotos” in the image comment or image tags so we know which photos you are submitting. Looking forward to seeing some outstanding images! Would you need on a live version to give a brief technical spec of the fromat photos should be sent in? We can probably accept photos in pretty much any format or quality that is out there. There could be some issues around data protection and copyright which might need to be confirmed with anyone who submitted a photo which we intended to use on the site.